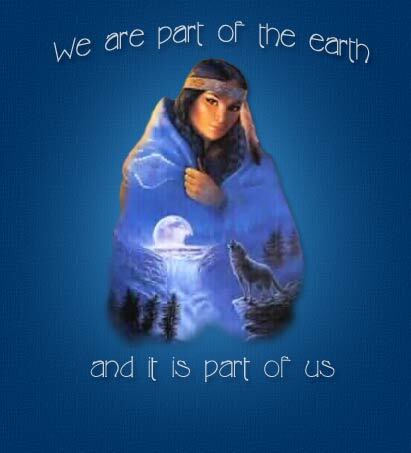 "Every part of this earth is sacred to my people. We are part of of the earth and it's part of us." and captures the light of day. Grandmother Moon you cast your silvered glow. You the keeper of the night. Do you see the fireflies as they dance? glowing like the stars in Father The Sky. Do you see the churning waters? Do you see the lone wolf as he hauntingly mournfully cries? of whom he cannot face tomorrow without. as they waltz with the north wind? and keep in perfect rhythm and time. as you cast your spell upon the prairie star? Do you see the hungered owl silently in flight? to ease the hunger that stirs within him. as you shine upon my face gazing upon you?